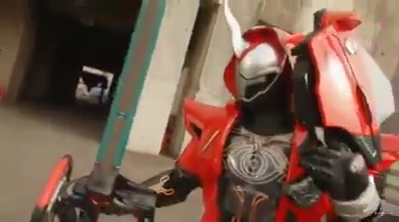 Here is the first episode of Kamen Rider Ghost: Legend! Soul Of Rider! where we meet the people who are responsible for the creation of Legend Rider Eyecons and the debut of Kamen Rider Ghost Drive Soul Form! Video is not locked btw. Oh and I almost forgot, Tomoya Warabino also reprises his role as the battle hungry Heart-sama in this youtube-only Kamen Rider Ghost special. Video is not blocked? Are you talking about the one on the official Youtube page? Nope, it's blocked. Which is a really strange and silly move by TOEI. Why would they have a region-locked on a video posted on Youtube? And DailyMotion is blocked in my country, so yeah, it's blocked LOL. Love the Henshin of the riders in this one. Reminds me back of the old school Henshin from the classic rider series. At first anon: Do you live in North Korea, or something?